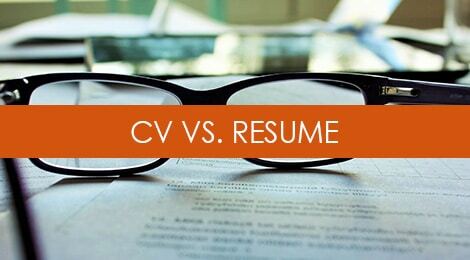 Q: The terms “resume” and “CV” are often thrown around interchangeably – is there a clear distinction between the two, and how should they be used? In the United States, the resume is the traditional format used by professionals in most industries for presenting your credentials – whether for job searching, internal/HR purposes or applying for awards and other opportunities. A good resume should reflect thoughtful decisions around both content and design – presenting your skills, experience, training, and other accolades in an attractive and easy to read format that is well-written. It often incorporates an element of storytelling and branding that communicates why the candidate is unique and what they’ve achieved. Certain industries in the United States prefer a CV over a resume – and those typically include medicine, academia (teaching or research), and some areas of the sciences. The CV is a longer format document that presents the information in a more straightforward manner – and often includes supplementary sections focusing on research and scholarship, publications, presentations, and other industry-specific accolades. Could these things go on a traditional resume as well? Certainly, but it’s the industry designation that determines whether a CV is more appropriate. Now unlike CVs in some countries outside of the US – the American CV typically does NOT include a photograph or certain personal information that you’re likely to see on a European candidate’s application – such as date of birth, marital status, or citizenship. An international CV contains similar information related to education and training, employment history, professional associations, awards, and other types of scholarship. It also typically includes the above-mentioned personal information and depending upon the country, a headshot of the candidate. If you’re job searching in the US – unless you are a physician, an academic, or someone whose career has a large research component to it – it’s likely that the traditional resume format is the best choice marketing yourself. Tags: cv, resume. Bookmark the permalink. Q&A: Does Hiring Slow Down in Summer?